Me, in the middle of a creative frenzy in my studio. We all have different coping mechanisms. Life, no matter how hard you try, will often get in the way of the best made plans. So how do you deal with the ups and downs of life? More importantly, how do you deal with the ups and downs of running your own business? There are many things that you can do, but the most important is to take care of YOURSELF! This post on the Oh My Handmade blog really resonated with me, mostly because I had taken some strong steps toward this ultimate goal at the beginning of this year; I strongly encourage you go and read it now. It talks about how all artists need to take care of their most precious tools … if you have spent $200 on a piece of equipment for your business, you WILL take care of it because of the monetary value. But what about your most precious tool: yourself? YOU are irreplaceable. It’s time to take care of yourself. It’s time to take a good look at how YOU see yourself. I know you’re probably wondering what this article has to do with my Build Your Brand series … but trust me when I say that the most important thing you can do is to take care of yourself. 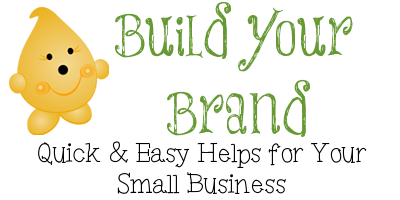 Your brand will not be a success without it’s creator. Recently this year, I made a covenant with my husband … turn off my computer by 7pm. While this most certainly does NOT happen everyday, it happens 5 days a week. I also made a covenant with him to not turn on my computer on Sundays. Sounds funny right? For me this works. Why? Because if I don’t force myself to take time off, I never will. There’s always one more thing to get done on my to-do list. You have to enjoy life. You have to take time to “smell the roses.” You will never do that if you are so glued to your website, blog, or Etsy that you never unplug and get offline. Likewise, where is your time to create? If you are always working on ads, how are you ever going to get things done? I had to make some very hard decisions this year, including leaving two Etsy teams I dearly loved and was highly devoted to. Why; because there was simply too much to do and I had to cut myself some slack, for my sanity, my business, and my health. What have I learned? I have learned that taking care of myself gives me more energy, better focus, and allows me to be successful. I didn’t realize that so many things were bogging me down, until I took them away. By placing new boundaries not only have I boosted my confidence in myself and my business, but I have seen new opportunities, challenges, and places to grow placed right in my midst. But if I hadn’t made those tough decisions, it never would have happened. So I ask you today … what’s holding you back from success? Is it that you’re stuck on social media all day? Perhaps it’s not having any quiet time to work? Maybe you don’t have a “space” to work in? Whatever is holding you back from your success, there is a solution. The question that you need to ask yourself is whether or not you are ready and willing to take those steps to achieve health, happiness, and less stress while still being successful. Quiet evenings spent with my husband. Time to actually read a book, enjoy my Kindle, and a cup of tea! More creative energy in my studio than I have ever had before. Less stress and better focus to get my work done. A “To-Do” list that gets 90-100% completed each and every day. I would like to personally encourage each of you to take care of yourself first … if you can do this, you will find success on Etsy, your blog, websites, social media and so much more. Comment below & let me know what you need the strength to let go of and reclaim your life. i just read take care of yourself. it was posted in a group i belong to on FB. how can i get the previous articles or the series. i am new to making a business and not technology savvy. i paid lots of money for my own domain and website and now i can’t figure out how to post and edit it. when i have time off they are not available to call. i so want to get the internet/web thing up and going. i am having a hard time with understanding etsy, i opened a shop but when i search for my stuff it doesn’t come up. i am so frustrated. the facebook thing seems to be my most successful audience but i still don’t understand all of that. i get photos on my personal page from customers of my work because they can’t post them to my “page” and then it won’t let me post them to my “Page” from my personal page. I spend too much time on media and it is taking away from my production. at 5 o’clock i put my work away and share the evening with my spouse. when he goes to bed i open up the computer and begin trying to figure things out again. ANY RECOMMENDATIONS ARE WELCOMED. and it is ok to laugh, because it is the best way for me to deal with it. 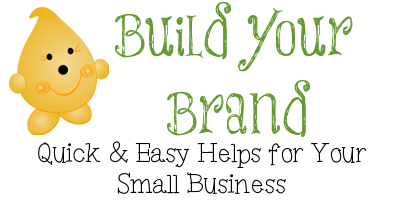 Hey Lori – You can get all the “Build Your Brand” articles by signing up here: https://katersacres.com/build-your-brand-sign-up-page/ You will receive bi-weekly to weekly updates and information about building your Etsy brand. Everyone starts somewhere and by no means am I laughing. I had help when I first started too and am grateful for many of those who helped me along the way. I hope this helps. Let me know!